As the Restroom Hygiene Experts, ECOSAN Hygiene offers a full range of services from detail cleaning to active odour treatments, that enhance the overall restroom experience for your clients. 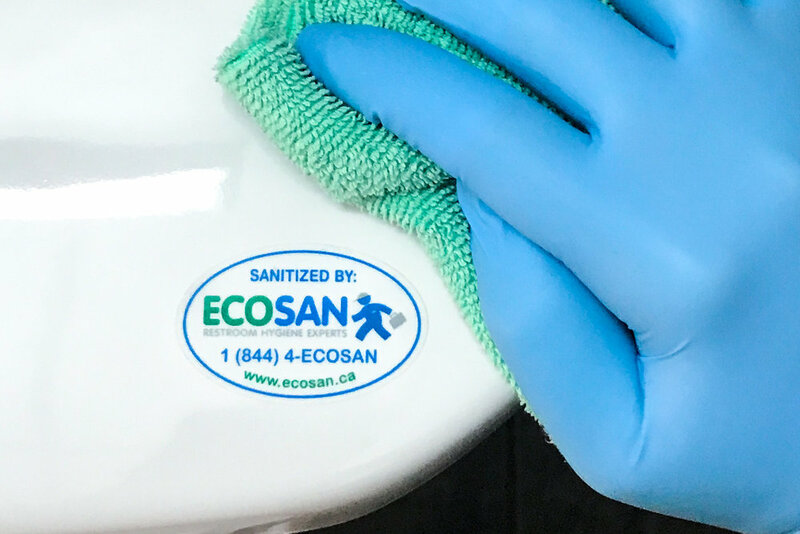 On a scheduled frequency, a uniformed and professionally-trained ECOSAN Hygiene Technician will visit your facility to specifically detail-clean and sanitize your toilets, sinks, urinals, walls and floors. ECOSAN Restroom Sanitizing packages start as low as $17.50 per week. With multiple levels of service, BRONZE, SILVER and GOLD, we have a package and a price that suits the needs of any business. Get more details by filling out the form below, or call ECOSAN at 1 (844) 4-ECOSAN to schedule a no obligation hygiene consultation.